Create an attractive, child-friendly play area with artificial grass. Non-Toxic: TigerTurf artificial turf is made from the same non-toxic polypropylene plastic found in plastic bottles and bags. It is certified lead-free, and because it never requires spraying with pesticides, fertilizer, or weed killer, you don’t have to worry about chemical exposure harming children during play. Soft: Because artificial turf feels soft to the touch, and because it can be paired with padding and/or infill to create cushioning, it’s ideal for rough and tumble play. Kids are less likely to get hurt if they fall on properly installed artificial grass than if they fall on hard-packed dirt or playground cement. Clean: Artificial grass is easy to keep clean with plain water. When paired with Durafill infill, it will not harbor bacteria or odors. And of course there will be no dirt, mud, or grass stains to worry about no matter how hard kids play. Durable: TigerTurf offers products that are designed to withstand heavy use without suffering any degradation in appearance or performance. The artificial grass won’t fade in bright sunlight or tear loose from the backing no matter how much kids run and play on it. 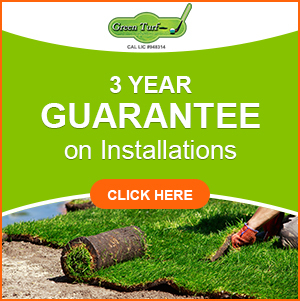 At Green Turf, we take pride in delivering the best quality child-friendly artificial grass at some of the lowest prices in southern California. Please feel free to contact us today at (951) 656-4150 about your project. 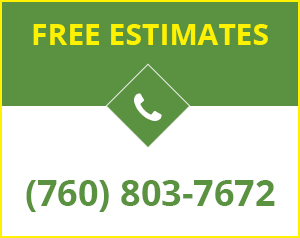 We’ll be happy to provide honest and accurate advice about your options along with a quote for the necessary products and installation work.